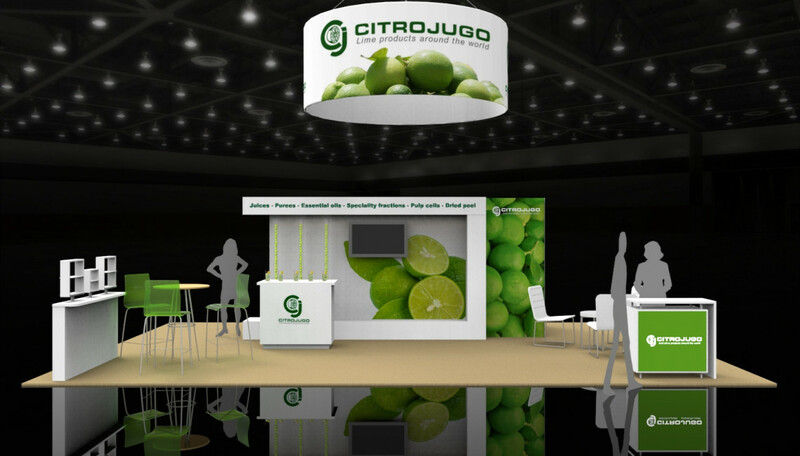 CitroJugo needed help building its presence in the United States and needed to make a powerful impression on attendees at Chicago’s IFT Expo. 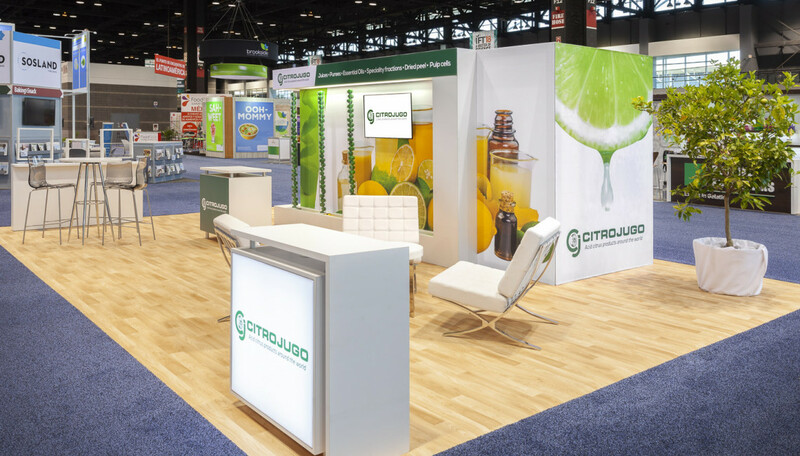 Keeping the happy, bright branding and product in mind, Nimlok Chicago designed a vibrant 20’ x 30’ trade show display that would turn heads at the show. A combination of rental and purchased elements were used to keep the exhibit not only attractive, but budget-friendly as well. 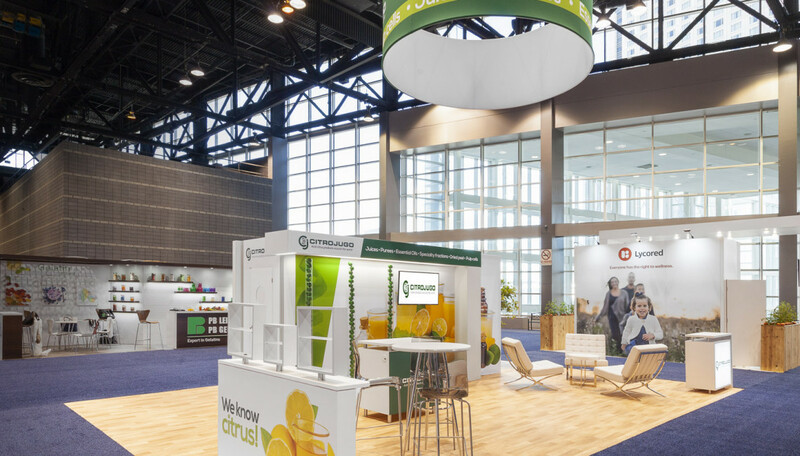 A minimalistic but functional design approach was taken to maintain a clean show floor presence. The exhibit’s back room provided enough space for CitroJugo staff to prepare samples. A mini kitchen was incorporated into the design and included space for a working sink and plenty of product display. A large hanging sign was suspended above the space to ensure the brand was seen from far across the busy show floor.